How to Fix 'App Not Installed' Error on Android Smartphone? Android system is great when it comes to using Apps and enjoy seamless smartphone experience. Many times you may get annoying messages while you install Apps on your device, especially apps from ‘unknown sources’. One such message is ‘App Not Installed’ or ‘Application not Installed’. And it is a common issue faced by Android KitKat, Lollipop, Marshmallow etc. When you try to install any App which is incompatible with your device OS and software the App may not get installed successfully. Thus giving you the error message App Not Installed. There are mainly 4 possible reasons for the error of installation. The App build may have corrupted or some of the core files have been modified knowingly or unknowingly. Android Manifest is the set of permissions has a lot of permissions where an error might have occurred. Gradle file – The problem might be in the file itself. Just check the minimum SDK version is suitable for your device. Installing an unsigned app could also result in this error. Here are the Best Solutions to Fix App Not Installed error on Android OS. You can make some changes in the version code or SDK to do so. This method also works on Firestick and Fire TV. Step 1. Download APK Editor app from Google Play Store. Step 5. Now look for the App and click on “common edit”. Step 6:.Here change the Install Location to any other option whichever applicable for your device. You can also change the Version Code of the App to any older one which is supported by your device. Step 7. Apply the changes in APK Editor App. Step 8. Uninstall any similar pre-installed app and install the modified App from APK Editor. First, download and install ZipSigner from Google Play Store. Then tap on ‘Sign the file’. Let the process be complete and then install the signed apk. If the APK is downloaded or if you are trying to install it from an external mount than in many cases it would be not possible due to contamination of the file. The installer may not completely parse the package from mounted storage. The best solution, in this case, is to download the APK onto your internal storage and try installing the App. Your mobiles package installer will accept the files without any errors. Any latest version of the App may not support your device due to system limitations. Just download any older version of the App. If this works then your device is not capable to read the latest APK. This is the most common issue which could cause the error on mobile or tablet. Go to Settings → Security → Unknown Sources. Enable Unknown Sources. And then try installing App. If you have a rooted phone than the success rate increases manifolds. Copy the Apk then go to system >app and grant permissions to the app. You will see App installed on your device. Check “Signature Verification status always true” and “Disable apk Signature Verification” and Apply. Reboot your device if not automatically rebooted. Clear some storage space on the device. Make sure SD Card has properly mounted if the file in located in SD Card. I also recommend downloading the file in internal storage as downloading some types of APK files in external storage may sometimes cause issues due to improper read by package installer of Android OS. Download the file from any other source in case the file itself is corrupted. Delete .android_secure/smdl2tmpl.asec file from your SD Card. Reboot the phone and even remove the battery if possible. Uninstall all previous versions of the app or apps with the same resemblance currently installed on your device. Remove the SD card and also do not connect your device to a PC while you install the apk. Free up some space, uninstall unnecessary apps. 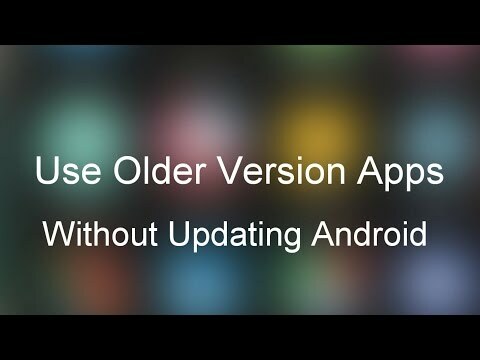 How to Use Older Versions of Android Apps Without Updating? Note & Conclusion: If the above post couldn’t solve the problem then you need some coding in Android SDK to checkapplicatioId the build.gradlefile is unique. I hope the post was helpful to resolve the issue of App Not Installed Error. Do comment below for any assistance if needed. If you've any thoughts on Fix ‘App Not Installed’ Error on Android Mobile, then feel free to drop in below comment box. Thanks Yaar, I’ve not root mobile. I tried all above thing insted of Ist method. Unsuccessful. So lastly I tried Ist metod, Its work properly. Now I’m enjoying the app. I thanks Once again…..
i advice everyone to uninstall 1mobile market(for those people who have it) and install Apkpure, i had the same trouble and it has been solved this way. I need help i tried everything and it still doesn’t work. I have a HTC One M8 and im trying to install Remote play. Hi Do you know how to fix error code -504 in google playstore.I tried a lot methods to install wowbox but still fail. In my lava iris x8 I can not install lords mobile after updating it to 5.1 lollipop please help me I tried all but none worked.. Unable to install mod apk of asphalt 8 in Panasonic p55 novo 4g. It also depends on the Android version of your phone. If you are using an older version than the latest mod would not support as they are tweaked to support the latest version. I tried it all, but its don’t working. Please help me for my problem!! Clear the Cache of the device. This will fix the issue. I’m unable to install every mod apk file. The file works fine on other phone. If anyone knows the solution plz tell me. Too funny. We can’t install apps so your advice is to install an app. You can install the Apps. Just some codes cause the file to be unexecutable. the 1st process of apk editor helped me…..awesome.